Clare from Elite School of Beauty shares her insider tips for five hot nail polish trends this summer. I love nail varnish. An outfit is simply incomplete if it isn’t polished off with a seasonal shade of nail varnish, or even a cheeky bit of eye-catching nail art for the right occasion. Like all nail polish lovers, I look forward to each season’s new colours, and these are my top five trending nail polishes for summer 2014. Summer days are for denim shorts, which look great with that go-to nautical striped top we all have somewhere in our wardrobe, and even better with some nautical blue nails. Choose a deep shade to off-set the white stripes on your top. 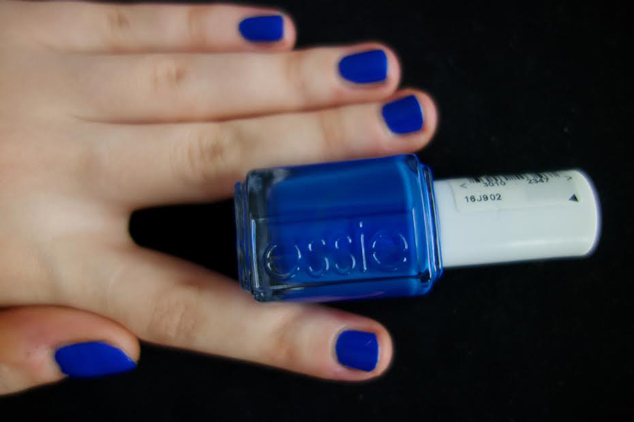 My Recommendation: There are a lot of gorgeous blue hues out there, but Essie has some really indulgent, bold blues that stand out from the crowd. This colour has been going strong since the spring and I have to say that I’m impressed by it’s enduring popularity. Light coral colours, which blend together pink and orange, are perfect for fair-skinned women. You can mix and match with an apricot shade of lipstick as well, though be really careful not to end up all out tangerine! 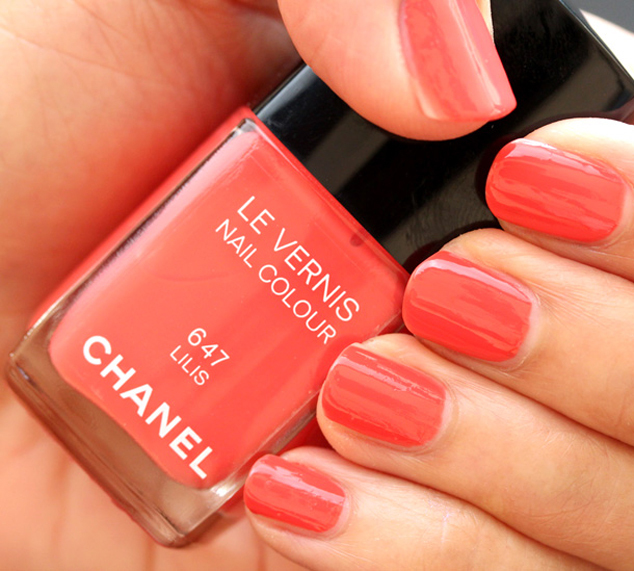 My Recommendation: I love nail polish by Chanel. This chic fashion house are always one step ahead of the crowd with their seasonal colours, which always have a smooth finish. Sometimes, I wake up feeling that neutral colours are just too tame. Embrace the better weather with a brighter shade of sky blue. 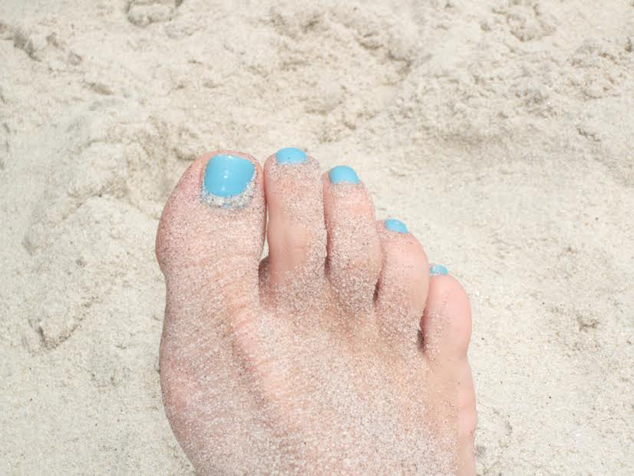 Bold blue nails under a bright blue sky can look dazzling, but be sure not to overdress. I recommend a white summer dress or a flowing white shirt to make the best of the blue, and be sure to wear them to the beach if you have the chance! My Recommendation: Barry M is a good brand for finding funky, bright colours like sky blues. They’re great for experimenting with and very affordable for students. Shiny copper is a stunning nail varnish colour for those of us lucky enough to have a tanned skin tone. If you veer more to the Snow White side of the scale, hold off until the end of the summer after a few beach days have been and gone. Copper polishes will shimmer in the sun and transform you into an Egyptian goddess. Remember not to overdo the tarnished bangles on shiny copper days though – one or two will be enough to make your point. My Recommendation: No-Miss products are chemical-free and developed using natural resources without harming the environment. I really love this Hollywood Honey shade of amber. Their products can be found online and in some vegan stores. I can’t talk about new nail polish trends without discussing a stand out nail art style of the summer so far: dots. I’ve seen a lot of overcomplicated nail art on the runways this season, but dotty is a style that can’t go wrong. Once you’ve applied your base colour – plain whites or blacks are my favourite for this – choose a more neutral colour for the dots. My Top Tips: To achieve dots the DIY way, take a hair clip or a hair pin and dip the end into your dot colour polish. Carefully apply small dots to your nail, making sure to keep the dots reasonably well spaced so that they don’t smudge or merge. It’s as easy as that! I’m in love with all of these summer nail polish trends, but remember that the style is not only in the colour, but also in the application. I always recommend applying a base coat to protect nails from becoming stained. Follow this up with two coats of colour and finish with one coat of gloss. To prevent flooding, it’s best to leave a tiny 1mm gap around the edge of your nail and cuticle when you apply the colour. Your nails will look much neater for it. Clare Weyers is an expert in all things hair and beauty. Clare runs Elite School of Beauty, who offer a range of make-up, hair and beauty courses in Essex and Hertfordshire. You can follow Clare on Elite’s blog and on Google+ to keep up with her beauty tips and read about the latest trends from the industry.